Summer is finally around the corner and so is wedding season. 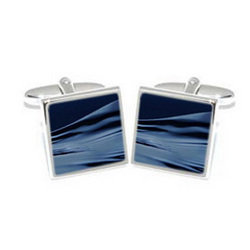 Perfect timing for the opening of LinkYourShirt.com cufflinks online superstore. Weddings are meant to be events to remember and cufflinks can add the extra touch to make such moments unforgettable. Summer is here. Just in time to celebrate wedding season and the opening of LinkYourShirt.com cufflinks, an almost perfect combination. LinkYourShirt cherishes the summer days of wedding season by providing all the cufflinks anyone could have ever dreamed of to complement a wedding. Weddings come and go but one thing they know at LinkYourShirt.com is that a wedding without cufflinks is a wedding without personality. LinkYourShirt sets out on a mission to make sure that all weddings keep their mojo from beginning to end. Whether someone is looking for high end cufflinks or simply affordable cufflinks, LinkYourShirt's goal is to find the perfect cufflinks that will truly match clients' tastes and personalities. Wedding Cufflinks: LinkYourShirt's selection of wedding cufflinks is designed to match match many groomsmen outfits as they have every possible color of cufflinks in stock! Have a baby blue or orange tux? Don't worry, LinkYourShirt has a matching set. Amazing Cufflink Stud Sets: For those tuxedo weddings where the groom wants to go all out, LinkYourShirt's cufflink stud sets are a great way to add some elegance to the groom's attire. Handmade Cufflinks: From hand painted cufflinks to handmade glass cufflinks, LinkYourShirt lets online users browse through a massive selection of coin and artsy cufflinks. Clients can even find old school Elvis or pink elephant cufflinks. Engravable Cufflinks: To make those wedding moments truly unforgettable, LinkYourShirt's engravable cufflinks selection is just another great way of saying I love you. Unique Skull Cufflinks: A great addition for a wedding that's looking for a tough, bad to the bone look. These cufflinks are very popular items in the biker or clubbing niche. LinkYourShirt.com was created simply out of frustration. Frustation based on the lack of cufflink availability in the local shopping centers. LinkYourShirt ships internationally. For a complete look at their online catalog, visit them online at Linkyourshirt.com.